When you're looking at weight training equipment, especially unconventional items that you may not know much about, it's important to know what you're getting. Is it good or is it bad? This is not a place you're going to find reviews on stair machines and home gyms. This features relatively-unknown and unique pieces of training equipment that can make a HUGE difference in your training. 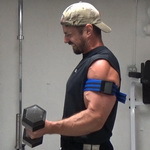 Blood Flow Restriction Training (a.k.a. 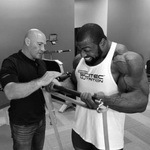 Occlusion Training) is extremely effective for building muscle with relatively light weights. Find out if these BFR Bands can help you build more muscle. Is it a squatters dream come true? The Manta Ray is designed to help spread the pressure of the bar over a larger surface area, making the exercise more comfortable and more productive. When it comes to training equipment, there's nothing more low-tech than a bag of sand (except maybe a rock!). Could sandbag training be the key you're looking for to take your physique to the next level? Find out here. Bands are critical training tools for working with accommodating resistance, i.e. changing the resistance levels of the exercise based on the strength curve of the exercise. Find out why and how to use them for best results. 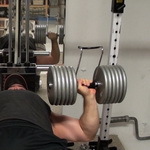 Occlusion Training is a powerful method for building muscle while using lighter weights. 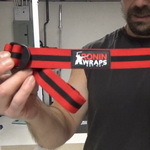 Find out if Ronin Wraps, which are designed for this purpose, are effective. 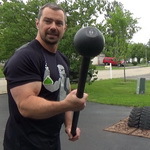 If you're interested in developing serious grip and forearm strength, will this piece of equipment do the trick for you? Fat Gripz are designed to snap onto the bar and allow you to do fat bar training without needing a fat bar. Do they work as advertised? 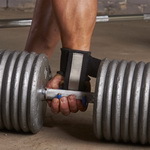 What do you do if you want to do Fat Bar training but straight bar curls hurt your wrists? Are you out of luck? 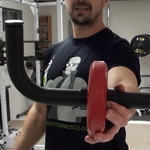 Or should you try EZ Grips, which allow you to do fat grip training at an angle, like an EZ Curl bar. Grip assistance equipment, like wrist straps and lifting hooks, has been around for a long time. After all, who doesn't want to able to get more reps and use more weight NOW? Haulin' Hooks are a unique, new concept on the block. Learn how these new hooks stack up! By placing your body directly in between the weight, can the Super Deadlift Bar make the deadlift more effective? 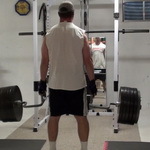 This is a different take on the concept of the Trap Bar or Hex Bar for deadlifts. This sledgehammer is a BEAST. It's not a beginner-level piece of equipment, but if you're an advanced trainer with hammer experience, it's going to be your new best friend. 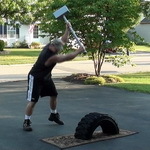 If you're a fan of sledgehammer training, you're going to LOVE this piece of equipment. It's built to last and it's built to allow you to ADD weight as you get stronger. This is top-quality stuff. The goal of this piece of equipment is to turn your dumbbell into a kettlebell...to allow you to perform a variety of kettlebell exercises (among others). Find out if it gets the job done. The steel mace is an ancient combat weapon repurposed for training. 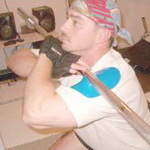 This review covers a number of the exercises and mobility drills you can do with a steel mace along with the best source to get one for yourself. The Intelliskin shirt is designed to help automatically correct your posture as you wear it throughout the day or while you're training. Find out if it works, how it works and who can benefit from using it. The X3 Bar is a portable, heavy-resistance piece of band training equipment that allows you to bring your workouts anywhere. It's designed for any level of lifter, from beginner to very strong. Find out how it works here. The Rotater is a piece equipment designed for shoulder joint rehab and strengthening. 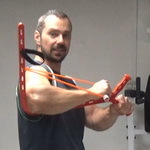 It's unique shape and design allows you to perform mobility and strengthening exercises for the shoulders in a convenient manner. This is one of the most unique pieces of training equipment around...it's something you WEAR, making your body part of the apparatus. It's targeted for athletic training, fat-loss and muscle and strength building. Physiclo has taken the concept of "on board" resistance straight to your workout clothing. The shorts or leggings have resistance bands built right into them in order to burn more calories and provide resistance for most lower-body movement/athletic training. Want six-pack abs and a stronger core? The Ab Rollout is a key exercise. This uniquely designed ab training wheel allows you to hold your arms in a different position when doing the rollout. Good idea or gimmick? 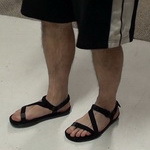 Minimalist footwear is extremely useful for training "barefoot" while still getting protection from the road and/or things you don't want to step in. Learn more about these minimal shoes here. 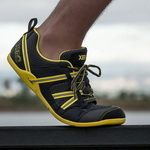 This is a fully-enclosed version of minimalist footwear from Xero Shoes. This shoe is "gym approved," which allows you to get the benefits of better contact with the ground while also having better overall protection for your feet. 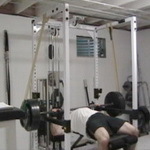 Adjustability is the hallmark of this unique training bar. You can adjust the angle of the handles as well as the width of the handles to customize it to your liking. And the variety of exercises you can do with it is HUGE! 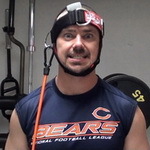 If neck training is a priority for you, the Neck Flex is a piece of equipment you'll definitely want to check out. Very well constructed and versatile, the Neck Flex will allow you to work your neck safely and effectively. 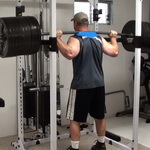 When training at home, there are always limitations either in terms of space or budget that can make it tougher to squat. This yoke bar is designed to allowing squatting in complete safety, starting from the bottom position. This bottle is designed to help make your supplementation easier and move convenient by adding storage directly onto the bottle itself. Take your push-ups to the next level with these uniquely-shaped handles. 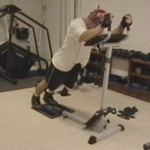 In addition to push-ups, you can actually do exercises that will ONLY be possible with the PushX3. 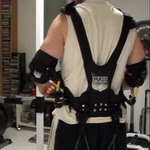 Increasing the loading on your body for all forms of exercise with the weighted vest. 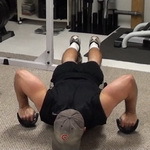 This is a simple way to burn calories and get more resistance in bodyweight exercises. The goal of this is to increase your bench press. 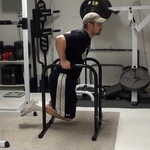 Perform partial range of motion "board pressing" without a spotter using this innovative piece of equipment. The Flexsolate Strap is a unique grip-assistance device in that it's NOT designed primarily to let you grip longer or stronger...it's designed to force your target muscles to contract more strongly by removing grip from the equation. Very interesting concept but does it hold up in the gym? This is one of the most versatile pieces of home gym equipment you'll find on the market today, allowing you to perform all manner of exercises including tubing, bands, suspension exercises and stretches. The setup has a very small footprint that fits in ANY space...all you need is a solid wall to attach the anchors onto. Have you wanted to try out Kettlebell training but been stopped by the high prices of buying a set? This unique piece of equipment will help you make your own for a fraction of the price. Learn about an innovative new piece of home training equipment that can shred your abs AND provide you with a total-body workout quickly and efficiently. Whether you're working out at home or at the gym, the more versatile the equipment you have, the more exercises you can do and the better your results will be. 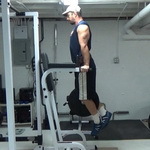 Can something as elegantly simple as the "The Equalizer" crank up the intensity of your training? Find out now. This is the "bigger brother" of the Equalizer...built a few inches taller for increased versatility and usefulness for taller individuals. Does this unique bar design hold the key to bench pressing without shoulder pain? 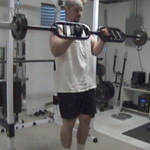 Plus, find out what OTHER exercises this bar can be used for. These unique hooks claim to have the ability to instantly increase the amount of weight you can handle with the dumbbell bench press and allow you to build bench press strength faster. Is it fact or fiction? Need convenient hydration while you train and don't want to carry a water bottle around? 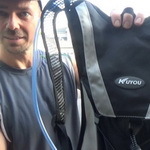 This hydration backpack / camelpack will allow you to bring water with you on the go. Learn how it performs here. Learn exactly how much nutrition YOUR exact piece of food contains. This scale allows you to not only weigh food...it allows you to plug in a code saying what that food is so you get custom results based on exactly what you're weighing. Can this unique piece of equipment help you get more out of your Front Squat with more effective load distribution over your shoulders? 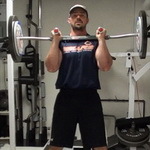 Does taking the shoulder pain our of Front Squatting with the Sting Ray kill your results? One of the most unique and simple equipment designs you'll ever find. But does it effectively work the wrists and forearms? 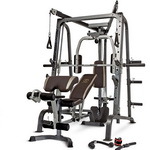 Learn about the benefits and features of the Marcy Diamond Elite Smith Machine. What exercises can you do with this machine and is it a good fit for a home gym?